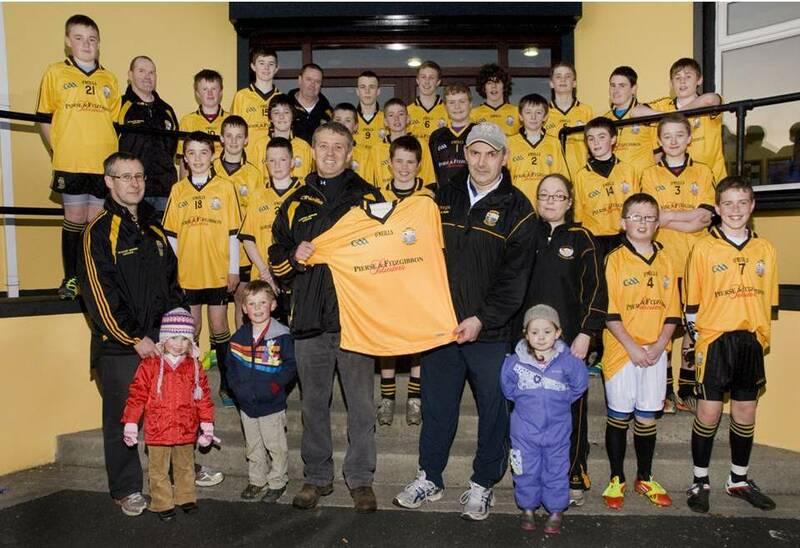 On Wednesday night last Riobard Pierse of Pierse & Fitzgibbon Solicitors presented Coiste na nÓg Chairman Sean Moriarty with a set of jerseys for the Emmets U14 team. On behalf of the Emmets Coiste na nÓg Sean thanked Riobard and Pierse & Fitzgibbon Solicitors for their kind sponsorship and their support over the last number of years. It is hoped these new set of jerseys will see many a good day and Sean wished the U14 every success on Saturday when they meet with St. Senan's in the preliminary round of Féile Peil na nÓg in Tralee on Saturday.